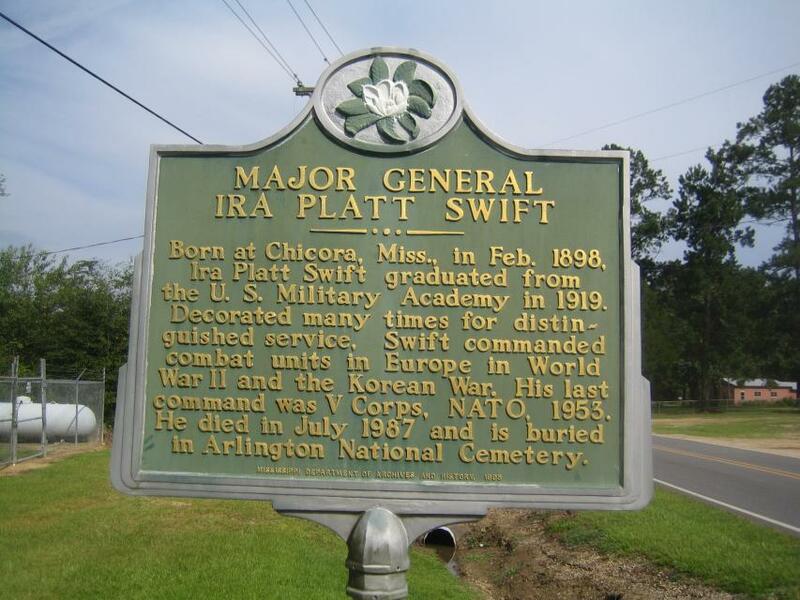 Born at Chicora, Mississippi, in February 1898, Ira Platt Swift graduated from the U.S. Military Academy in 1919. Decorated many times for distinguished service, Swift commanded combat units in Europe in World War II and in the Korean War. His last command was the V Corps, NATO, 1953. He died July 1987 and is buried in Arlington National Cemetery. This marker can also be identified by its HM code. You can use the hashtag #HM1IV6 in tweets, and any other place where you might refer to this marker, including when searching on this site.